Big producers like Cameco in Saskatchewan and Kazatomprom, Kazakhstan's state-owned uranium company, have been cutting production, with Cameco's McArthur River Mine shut down last year. But Cameco needs to keep buying large volumes from the spot market to fulfill its contracts including 11�15 million pounds through 2019, which is over 20% of the spot market. On top of that, big funds are being set up to hold U3O8 (triuranium octoxide, aka yellowcake), which are removing more supply from the market. Meanwhile, uranium demand keeps rising, as the world's need for electrification intensifies. Global demand for electricity is expected to grow by 76% by 2030; much of this demand will be met by nuclear. According to the World Nuclear Association, there are currently 452 nuclear reactors operating in 30 countries, supplying around 11% of the world's energy. Fifty-six reactors are under construction, with the majority, 17, in China, plus another 481 planned or proposed. Nine reactors in Japan have restarted. 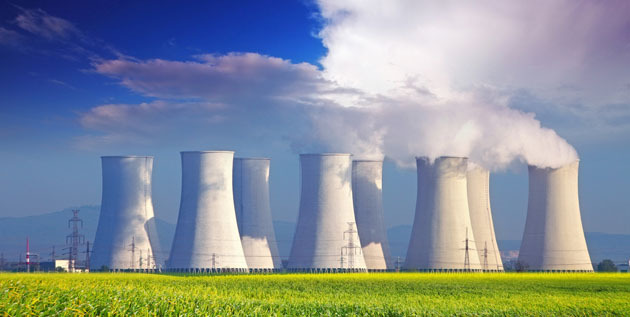 UxC, a nuclear industry consultant, estimates nuclear power capacity will increase from 379 gigawatts to 483GW by 2030, while uranium demand could grow from 190 million pounds to over 300 million pounds by 2030�a 60% jump. The Fraser Institute Annual Survey of Mining Companies, 2016, rated 104 jurisdictions around the world based on a combination of their geologic attractiveness for minerals and metals and their policy attractiveness. In 2016 Saskatchewan ranked as the top jurisdiction in the world. In 2017 Finland ranked as the most attractive jurisdiction in the world for mining investment, followed by Saskatchewan. Skyharbour also owns 100% interests in the Falcon Point, Yurchison and Mann Lake uranium projects on the east side of the Basin. The Falcon Point property hosts an NI 43-101 mineral resource of 7 million pounds U3O8 inferred at an average grade of 0.03% U3O8 and 5.3 million pounds thorium dioxide inferred at an average grade of 0.023%. The company also has a 50% interest in the Preston Project�one of the largest land packages (75,965 hectares) in the Basin�strategically located near Fission Uranium's Patterson Lake South Triple R uranium deposit and NexGen Energy's Arrow deposit, both of which contain high-grade uranium. While Skyharbour is a top-tier uranium explorer, with the expertise to back that up (see Team section below), the company is also a prospect generator, meaning its strategy is to ink option agreements on its secondary properties, thus allowing other companies to come in and incur exploration expenditures in return for earning stakes on those properties. CEO Jordan Trimble explains the dual-pronged strategy. "First and foremost, we offer high-grade discovery potential in the best uranium district in the world," he told Ahead of the Herd in a recent interview, referencing recent discoveries like NexGen and Fission as examples Skyharbour is trying to emulate. "But secondly, we also act as a prospect generator, because we have acquired such a large property package in the Athabasca Basin, 200,000 hectares of ground. So instead of letting these other properties sit there and collect dust, what we do is we go out and we find strategic partners to come in and advance these projects." The prospect generator component is key with such a big collection of properties as SYH, because without regular exploration, the claims could expire, leaving the company exposed to poachers. And while optioning off part of a project means Skyharbour owns less of it, "if you end up with 30 or 40% of a big discovery and deposit, then it's a hell of a lot better than 100% of nothing," Trimble quips. On the exploration side, Skyharbour is led by Richard Kusmirski, a geologist with over 40 years of industry experience. The former exploration manager at Cameco is now the head geo at Skyharbour. Critically, it was Kusmirski who discovered the Maverick Zone at the Moore Project, as well as the Fraser Lakes Zone B deposit at Way Lake (now Falcon Point) in the early 2000s. At the time, Kusmirski was president and CEO of JNR Resources, acquired by Denison Mines in 2012. According to Trimble, Kusmirski took JNR from a $5 million market valuation to over $300 million, and the two main projects he had�Moore and Falcon Point�now belong to Skyharbour. "He built a multi hundred million dollar company and we have gone back and acquired the two main projects and a few others for approximately C$4 million." This just shows you the re-rating potential there is in the next uranium bull market as Skyharbour has taken advantage of a depressed market, laying the groundwork for the impending reversal in the market. As for Trimble, he was the Corporate Development Manager for Bayfield Ventures before it was taken out by New Gold in 2014. Skyharbour board chair Jim Pettit was CEO of Bayfield at the time of the acquisition, and is another veteran with more than 30 years of resource industry experience. Other key members of the team include: director David Cates, the current president and CEO of Denison Mines and Uranium Participation Corp; strategic advisor Paul Matysek, founder and CEO of Energy Metals Corp, which leapt from a market cap of $10 million to a whopping $1.8 billion before it was acquired by producer Uranium One; experienced company builder Donald Huston; and technical advisor Thomas. Drolet, a uranium/nuclear expert who runs his own energy consultancy and is the former head of Ontario Hydro (now Hydro One). Often called "the Persian Gulf of uranium," the Athabasca Basin is home to high-grade exploration plays, a handful of advanced projects and some prolific uranium mines. These include Cigar Lake, held jointly between Cameco, Areva (now Orano) and Tepco Resources, McArthur River and Rabbit Lake mines, both of which are currently on care and maintenance. 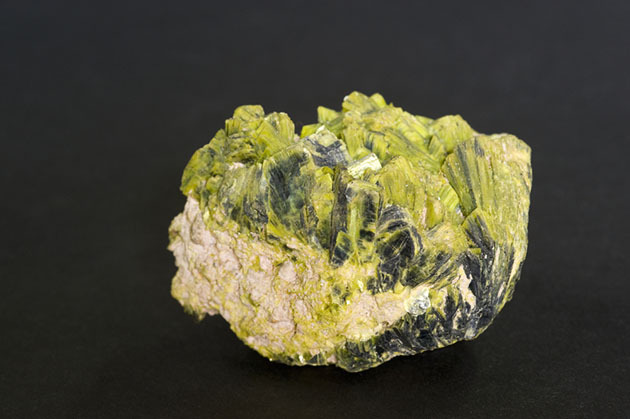 The Athabasca Basin produces about 15% of world uranium supply. What is unique about the Basin is its grades�at over 20 times global averages. Some deposits are over 100x the world average including Cameco's Cigar Lake which contains an average 17.8% uranium. In comparison, the Priargunsky underground uranium mine in Russia has grades of just 0.15%. Or Rio Tinto's Rossing open-pit mine in Namibia, with grades of 0.03%, compared to over 19% in Denison's Phoenix deposit�a difference of 630X. The Basin contains sedimentary rocks with high-grade, often low-tonnage "unconformity" bonanza-type deposits, located on the contact between the Athabasca sandstone and the underlying basement crystalline rock. How much of a bonanza? As shown in the graphic below, a 1% grade of U3O8 is the equivalent dollar value ($770) of 20 grams per tonne gold, 1404 g/t silver, 13.7% copper or 28% zinc. For a good history of the Athabasca Basin, read "How Saskatchewan remade uranium mining." That article by MINING.com notes the real game-changer happened with the discovery of Rabbit Lake, where radioactive boulders at surface were indicative of richer uranium deposits at depth. 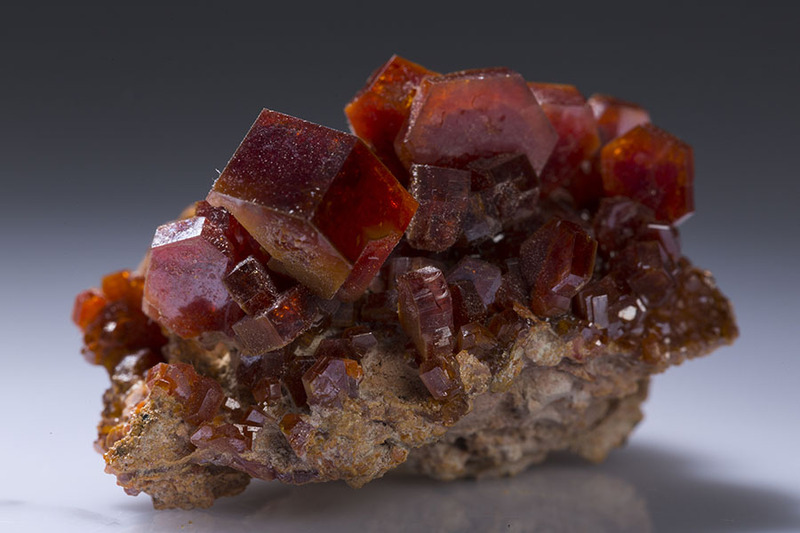 In 1977, the Midwest discovery, made again from boulders at surface, led to extensive staking, and a new era of high-grade underground discoveries, including Dawn Lake, McLean Lake, and the mother of all deposits at the time, Cigar Lake. This was followed in 1988 by the discovery of the McArthur River Mine. Hathor's Roughrider deposit in 2009, with grades up to 17%. 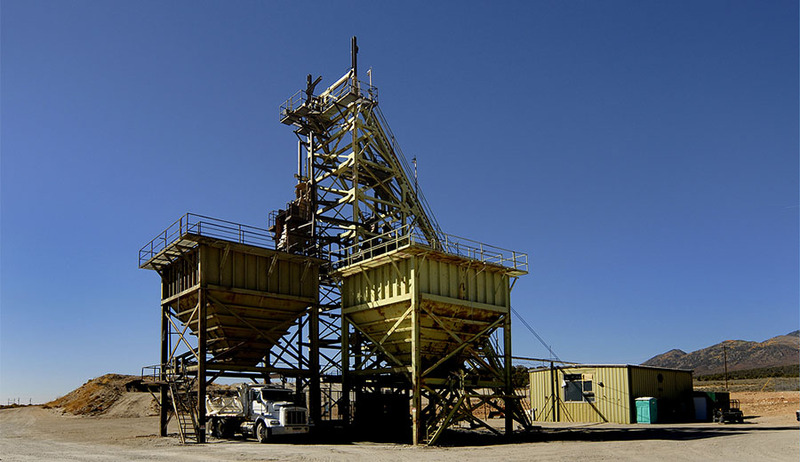 Hathor was acquired by Rio Tinto in 2012 for US$641 million. Denison Mines and Cameco's first resource estimate at the Wheeler project, in 2010, revealed grades exceeding 19%. Areva and UEX Uranium Exploration in 2010 released a mineral estimate on three properties at the Shea Creek property. Cameco and Areva in 2012 reported resources at Tamarck and Waterbury Lake, respectively. In 2015, Fission Uranium discovered Patterson Lake South, with mind-blowing grades up to 23%. The deposit was later named Triple R.
Around the same time NexGen Energy discovered the Rook 1 property containing its Arrow deposit, composed of a series of at least five mineralized shear zones. A PEA was released in 2017. Wheeler River's Phoenix and Gryphon deposits are being developed by Denison Mines. Phoenix has indicated resources of 70.2 million pounds U3O8 at 19.1% grades, while Gryphon contains inferred resources of 43 million pounds at 2.3% U3O8. Trimble notes a lot of the exploration being done in the Basin of late by juniors would not be possible without a better understanding of the geology as well as technological advances that have been made. Many of the areas in the Basin are not greenfield; they're previously explored brownfields. That means going into known districts using new exploration techniques or geological theories, and making new discoveries that way. "That's very much what's happening here in the Athabasca Basin," he says. "Geophysical surveys have come a long way and are producing much better drill targets. They are more refined and can penetrate a little bit deeper down into the basement rock which has given us new targets below the known high grade Maverick Zone at Moore�potentially feeder zones for this high grade at the unconformity." Another advancement is a better understanding of indicator minerals and clay alterations, which allow explore-cos to better home in on targets. "Thirty years ago, they'd hit the unconformity or drill maybe a little bit into the basement rock and stop," says Trimble. "This new way of thinking has opened up the Basin." He gave the example of McArthur River, which needed over 200 holes to drill down to 500�600 meters to just find the deposit. "It's not something that a junior exploration company can fund. The science is much better, the targeting mechanisms and techniques have been refined. And that allows us to go out there and make discoveries with less capital and with more efficiency." It's fair to say that Skyharbour Resources wouldn't be in the position it's in�55 million issued and outstanding shares with a current market value of $22 million�without the project deals it has completed, allowing the share float to remain low. Insiders, management and key shareholders own 40% of the shares. Two years ago, Skyharbour inked an option deal with Denison Mines to acquire Moore, in exchange for doing expansion and exploratory drilling on the high-grade Maverick Zone and other target areas on the 35,705-hectare property. Denison is Skyharbour's largest shareholder, owning about 10% of its shares. Under the option agreement at Moore, SYH must spend a total of $500,000 in cash and shares within five years, and also shell out $3.5 million in exploration expenditures (now complete), in order to get 100% of the project. However, Denison did not want to completely part ways with the project given the potential and has the option to buy back a 51% interest. Trimble notes that Denison is focused on developing the Wheeler property, so optioning Moore to Skyharbour made sense. And with Kusmirski, the discoverer of the high grade at Moore, at the exploration helm, Denison has confidence in Skyharbour to come up with the goods in the ground. Two more significant agreements were entered into at Skyharbour's Preston property�a good example of the prospect generator model in action. In March 2017, Skyharbour brought in Areva (now called Orano) optioning 70% of its Preston project located near NexGen Energy's Arrow and Fission's Triple R deposits to the French nuclear giant. Under the agreement Orano can earn up to 70% of Preston by spending $8 million over six years. The other 30% would be divided between Skyharbour and Clean Commodities. At the same time, Skyharbour agreed with Azincourt Uranium to option 70% of another portion of Preston, with Azincourt issuing 4.5 million shares and spending $3.5 million over three years, to Skyharbour and Clean Commodities. The two agreements in total mean that for $11.5 million in exploration and cash payments plus 4.5 million Azincourt shares, 70% of the Preston and East Preston projects will be optioned off. Orano, formerly Areva, is a strategic partner for Skyharbour to have advancing Preston. After a recent recapitalization, name change and renewed focus in Canada, it is looking to secure a long-term supply of uranium for nuclear power generation. SYH's Trimble says that Skyharbour hopes to enter into similar agreements with its other 100%-owned properties: Falcon Point, Yurchison and Mann Lake. The Moore project that Skyharbour optioned from Denison is composed of 12 contiguous claims totalling just over 35,000 hectares. It is located between the Key Lake mine and mill complex and the McArthur River Mine. Over $35 million in historical exploration has been done, with over 135,000 meters of diamond drilling and more than 370 holes completed. Since mid-2000, the focus at Moore has been on the 4-kilometer Maverick structural corridor where pods of high-grade unconformity-type uranium mineralization has been intersected. During the winter and summer of 2017, just under 10,000 meters of drilling was completed. Highlights included 20.8% U3O8 over 1.5m, 9.12% U3O8 over 1.4m, and 2.23% over 9.3m U3O8, all at between 250 and 275m depth. About half of the 4-km corridor has been drill-tested. Stepping out 100m from the Maverick Zone, Skyharbour also discovered a new high-grade mineralized lens, where 9.12% U3O8 over 1.4m and 4.17% U3O8 over 4.5m at 278m depth was found. This year a drone survey was conducted along the corridor, flown at close 20m spacings at 35m elevation. This enabled Skyharbour to better define high-priority targets. A recently completed 3,400m, nine-hole winter drill program returned high-grade mineralization and successfully expanded known zones. This summer's 3,000m program, however, will take a different tack, and will focus on drill-testing the Maverick corridor primarily below the unconformity in the relatively untested basement rocks. The known high grade, unconformity-hosted uranium mineralization at the Maverick corridor was deposited there through feeder zones in the basement rock, the discovery of which will be a top priority in this upcoming program given other recent basement-hosted discoveries including NexGen's Arrow Deposit, Fission's Triple R Deposit and Denison's Gryphon Deposit. Following this drill program, Skyharbour's plan is to come out with a maiden resource estimate at Moore, in the first half of 2019. Between the drilling and the resource estimate, there will be ample news flow and catalysts for the company over the next year to position the company optimally to thrive in an improving uranium market. If you're a junior exploring for uranium, it helps to be in the Athabasca Basin. Not only does the Basin host the highest-grade uranium in the world, it is also in Saskatchewan, considered one of the best mining jurisdictions globally. The region is known for enriching shareholders fortunate enough to ride the wave. Successful projects have included NexGen's Rook (Arrow deposit), Hathor's Roughrider, Denison's Wheeler, Enexco's Mann Lake, and Fission Uranium's Patterson Lake South. Here at aheadoftheherd.com we believe there is no reason why Skyharbour can't emulate these successes, especially considering its exploration team is headed by the geologist responsible for discovering the initial high grade at the flagship project. Drilling I 2017 at Moore has shown some excellent drill results, and this summer's program could be even more intriguing when the drills hit the basement rocks. 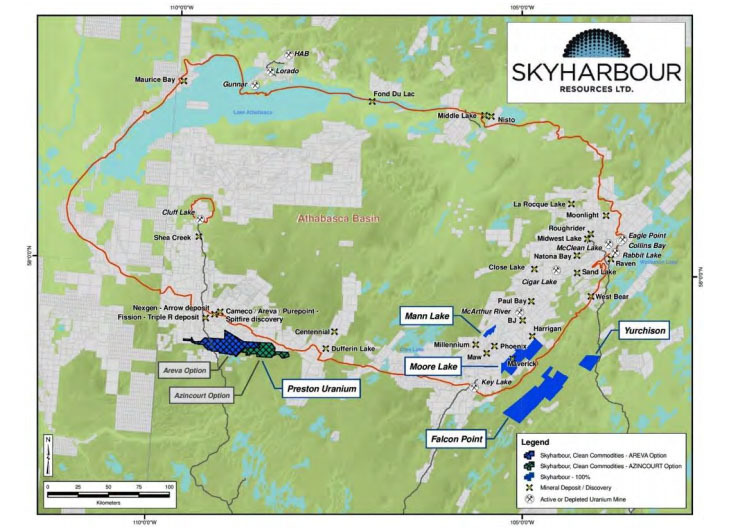 As well, Skyharbour is also looking at exploration upside from the partners it has entered into option agreements with, and the properties it has yet to option out. For example at Falcon Point, mineralization containing up to 68% U3O8 has been identified in grab samples, the source of which has yet to be found. Consider too that these are not greenfield properties. Skyharbour spent approximately $4 million to acquire its five projects, where over $75 million in historical exploration had been invested. That's a lot of exploration data to have under your belt. Global demand for nuclear energy is strong and not going away despite the unfortunate accident at Fukushima. The leaders in building new nuclear reactors are China, India and Russia. Uranium demand is set to outstrip supply. Current demand is 190 million pounds but mine supply is now only 135 million pounds; the estimated supply gap is 100 million pounds by 2030. Utilities are going to need to buy more uranium. Over 65% of current contracts are due to expire by 2025. Almost no one is making any money at $20 uranium. This is why some of the biggest and lowest cost uranium mines, like Cameco's McArthur River/Key Lake, Rabbit Lake and Paladin Energy's Langer Heinrich Mine in Namibia, have shut down. Low prices forced the biggest uranium supplier, Kazakhstan, to slash production by over 20%. The price needed to bring new mines online is estimated at $60 a pound. 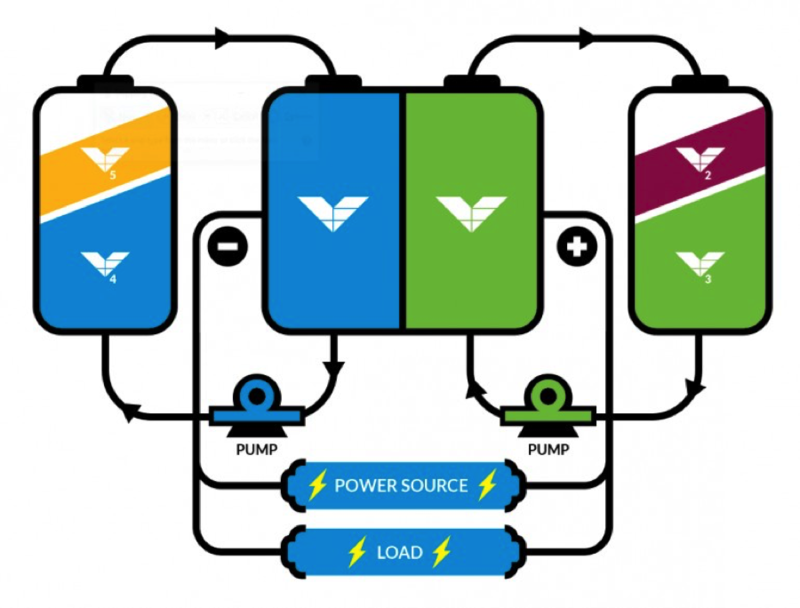 Remember the electrification of the global transportation system is being achieved by batteries�energy storage devices. That energy has to be produced in the form of electricity to charge those batteries. As much as I love solar and wind it is not now and will never be the answer for most of our base load (24/7), emission free power. Continuing to burn fossil fuels and damming more rivers are not the answer either. Nuclear energy is. 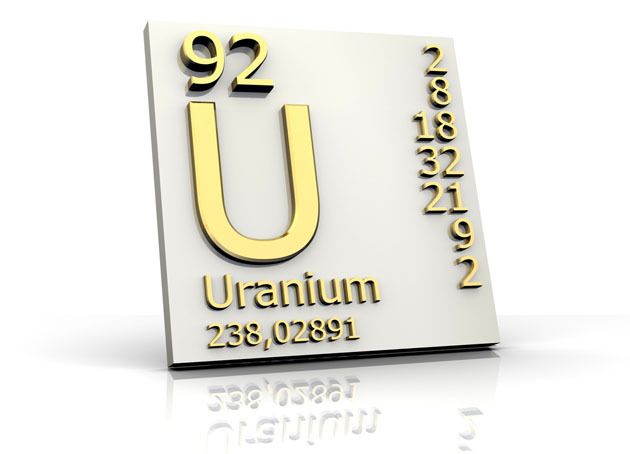 For all of these reasons, Skyharbour Resources (TSX-V:SYH) (OTCQB:SYHBF) and the next uranium bull market is on my radar screen. Richard owns shares of Skyharbour Resources (TSX-V:SYH). 1) Rick Mills: I, or members of my immediate household or family, own shares of the following companies mentioned in this article: Skyharbour Resources. I personally am, or members of my immediate household or family are, paid by the following companies mentioned in this article: None. My company currently has a financial relationship with the following companies mentioned in this article: None. I determined which companies would be included in this article based on my research and understanding of the sector. Additional disclosures/disclaimer above. 2) The following companies mentioned in this article are sponsors of Streetwise Reports: Skyharbour Resources. Click here for important disclosures about sponsor fees.